The Lexmark X215 accommodates small offices and desktops with its small, compact design. The multifunction laser will print, fax, copy, and scan the necessary documents to verify the production of small businesses. The design of the printer is intended for tight spaces. The strong management and a 4-in-1 features provide secure reliability in meeting business goals. The 4-in-1 printer is 18.5 inches in width, 16.5 inches in depth, and 17 inches in height. 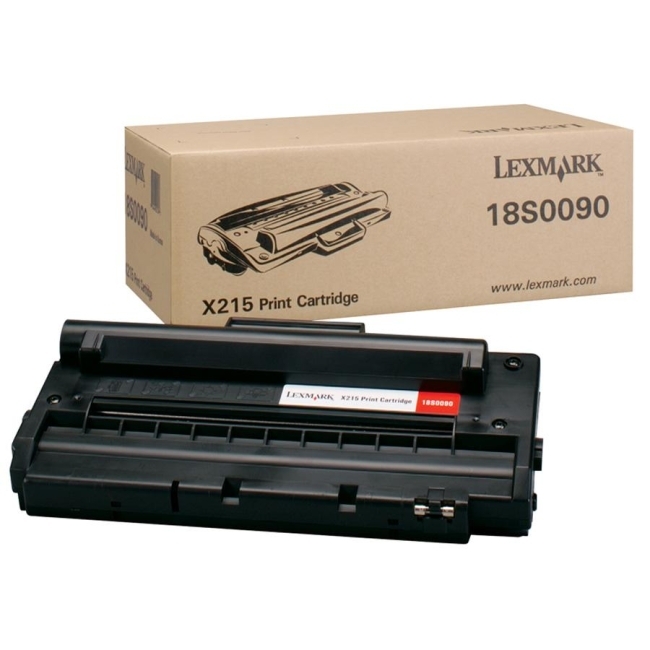 The Lexmark X215 costs $500. There are other retailers that sell the printer for $300-400. The print resolution of 600 x 600 dots per inch is about the best you can get for the printer's asking price. The processor runs 66 Mega Hertz with a memory standard of 16 Mega Bytes. Since the Lexmark X215 is designed for a desktop, the standard connection is Parallel USB port. The recommended duty cycle is 10,000 pages per month, which is substantial given its commitment. The printer is lightweight at 30 pounds; you will have no trouble moving the printer around. The paper capacity for the input tray is 251 pages, including the manual loader. The output capacity is 150 pages. 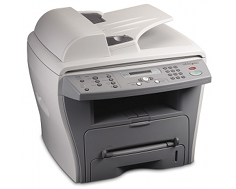 The 4-in-1 transfers faxes at 33.6 Kilo Bytes Per Second. The Group fax is useful for businesses sending faxes to several organizations simultaneously. Although it is customary for most faxes, a confirmation sheet is produced after fax processes. The flatbed scanner is capable of producing documents in color and has a 30 page automatic feeder. The resolution of a scan is superior with 4800 x 4800 dots per inch and an optical 600 x 600 dots per inch. The TWAIN feature allows for compatibility for graphic processing software. The TWAIN is standard in most computer components. The scanned document does not have to be saved to be opened; the document can be transferred to compatible TWAIN software directly. The scanner will send PDF, JPEG, and TIFF formats to email and personal computers. The flatbed will require a maximum document size of 8.5 x 11 inches; the Automatic Document Feeder will require a minimum document size of 4.5 x 5.5 inches to a maximum document size of 8.5 x 14 inches. In conclusion, the Lexmark X215 4-in-1 printer is average in print-rate. The toner lowers the price per page for printing expenses. The toner save feature assists in lowering the costs of prints. The features of the compact printer is notable but comes with lack of appeal with certain features within its capability. The primary media types compatible are envelopes, plain paper, card stock, paper labels and transparencies. A one-year warranty is available from LexExpress. The main operating systems compatible with the printer are Windows-based platforms; if you need more specifics, www.lexmark.com is a site to evaluate. 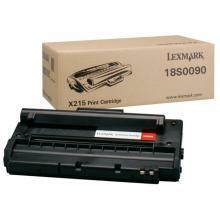 The webpage contains additional information on compatible systems for Lexmark printers. The printer package includes a 2,000 page starter cartridge, setup sheet, telephone cable, power cord, PaperPort Document/Management CD, Drivers CD, and Publications CD. The Lexmark X215 is commendable, but not enough to turn users with phenomenal performance. People have claimed the front control panel is not as easy to use like the Brother MFC-8420. Comparing the prices per page of the Brother MFC-8420, the Lexmark X215 cost two cents more per page. Many users of the Lexmark declare the printer is not worth the $500 it costs. The Ethernet connection is optional, but it only works for the print features. The scan speeds have been claimed to be slow compared to competitive models. Small texts have a tendency to be slightly faded or disoriented when printed. Other users have claimed the printer likes to jam or malfunction. The Lexmark X215 printer was reviewed by other users. The reviewers have made note of the device being higher in costs with uninspiring performance. This assessment gives inanimate appeal to consumers. The multi-task ability of the printer is limited. The network print will disable the scan support. 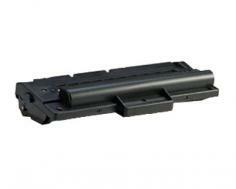 Review it: "Lexmark X215 "
The genuine OEM toner cartridge, Lexmark 18S0090, yields 3,200 pages. The printer is multifunction but prints and copies in black & white only. There is not much room for fluctuating complexities that will yield a different amount of pages because it only prints black & white documents. If the yield changes, it will not be too far off from 3,200 pages. The OEM cartridges have a shelf-life of two years. Toners utilize fine powders and burns the powder on the paper with a monochrome laser; therefore, there is less chance of smudges or smears.